Montreal, October 11, 2013 – Effigis Geo-Solutions announced today that its CPAT DRV3 digital leakage receiver (patent pending) received a 4.5 Diamond rating from the Broadband Technology Report Review Panel during the 2013 Diamond Technology Reviews. The CPAT DRV3 digital leakage receiver is the latest addition to the CPAT FlexTM fully automated, continuous leakage/ingress monitoring system that helps reduce broadband cable operators’ leakage management program costs. The CPAT DRV3 can accurately identify leakage events in an all-digital cable system while cable technicians perform their normal daily routine, without any intervention on their part. With its frequency agility, the CPAT DRV3 provides a cost-effective, flexible and easy to use digital leakage receiver which will help operators locate leakage impairments in the aeronautical (FAA), 700 MHz and upcoming 600 MHz LTE cellular bands. The DRV3 provides operator a real-time view of leakage RF levels simultaneously in both FAA and LTE bands with its dual- tuner portable meter. With its downstream leakage and upstream ingress monitoring functionalities, our CPAT FlexTM platform is a complete cable shielding integrity monitoring system that will continuously monitor leakage/ingress events throughout the year. This means that events can be detected faster and repair teams can be dispatched immediately, thereby preventing costly service calls. The ability to react proactively to leakage/ingress events results in increased reliability and greater customer satisfaction. The BTR Review Panel of this year’s Diamond Technology Reviews was impressed by CPAT’s DRV3 features and benefits. Since 1995, Effigis Geo-Solutions has been a recognized leader around the world, with its leakage/ingress monitoring system and currently serving a significant number of MSOs evolving in North America and Europe. Effigis Geo-Solutions will introduce its CPAT DRV3 digital leakage receiver at the SCTE Cable-Tec 2013 exhibition at the Georgia World Congress Center in Atlanta, GA from October 22 to October 24. Broadband Technology Report (BTR), celebrating its 9th anniversary in 2013, is the cable and telecom industry’s premier source for product and technology news, and is the most successful and fastest growing online outlet for product information and deployments; reviews and rankings; technology expertise; and buyer/seller facilitation. 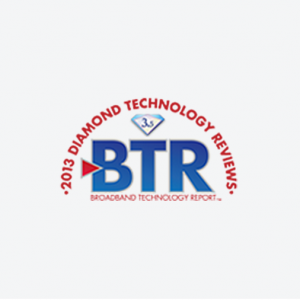 The BTR Diamond Technology Reviews (“the Diamonds”) is a renowned industry program – now in its ninth year – that was developed to recognize some of the top products and solutions available to the cable industry as determined by a stellar panel of cable telecommunications engineering experts. Engineering executives from Bright House, Buckeye, Comcast, MediaComm, Rogers, Suddenlink, and Time Warner Cable were among the third-party judges for the 2013 Diamonds. Effigis Geo-Solutions has earned a reputation for designing, developing, and implementing innovative geospatial solutions since it was founded in 1991. With its ISO 9001:2008 recertification, Effigis Geo-Solutions will keep pursuing its goal of improving its clients’ business processes.